As we all know that Google will not updating its pagerank. And I think we have loose the pagerank this year. Google pagerank provide the statement where or describe the website scale from 1-10. Google pagerank is very important because it provide a base to different websites. Google pagerank is always updated within 6 months but as from now it was not updated regularly. Newbie bloggers is very much upset from that. They doesn't get an attractive look for their website profile. As we know last PageRank is updated in December last year, which in turn was 7 months too late. It is rumor or reality, i don't know but Google’s head of search spam, Matt Cutts, said on Twitter yesterday that Google won’t be pushing out a new Google Toolbar PageRank update this year. Team was fixing a different backend service and did a PR update along the way. I think Google Pagerank is finally dead now– at least the Toolbar PageRank. 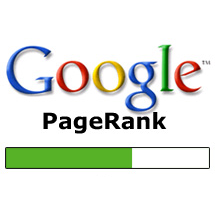 Last pagerank was updated on 6 December 2013, when Earning Methods Online (EMO) got Pagerank 1. Why PageRank is not updated? As we know that Google will not update an Pagerank in future. Which results that newbie bloggers will not able to see their website performance. Google's Matt Cutts explained and give reasons that why Pagerank is not updated.Matt Cutts provide a reason that the 'pipeline' to send PageRank updates to the toolbar is broken, which means that PageRank will not update automatically. According to Google survey, too many people, mostly newbie bloggers or webmasters obsess over PageRank, even though it is not 'very important' anymore. Hence, fixing the problem isn't a priority. But from people saying that Pagerank is not important, only you have to do work hard and work little bit more on your website. So in the end i would like to say that do not focusing on Google papgerank, just work on your website, keep article posting on your blog. You have to grab huge and huge backlinks, as we all know that how backlinks is important for our website. Your duty is not only write the articles, also you have to increase your backlinks, share your articles on various social networking sites and maintain your blog structure as it gives an attractive look. We know that more and more backlinks will give an pagerank, but it is not worth. So do not focus on pagerank, Just give your 100% and work hard. But in the end I would like to ask What do you think about Google's not-so-often-updated PageRank updates?